Staff College was founded in 2010 by the late Professor Aidan Halligan following his visit to the military acute medical facility in Helmand Province at the peak of the British Army’s operations in Afghanistan. There he witnessed at first hand the extraordinary teamwork, cooperation and leadership of clinical military team, formed of the very same clinicians who work in the NHS as reservists. He attributed the heightened leadership abilities he witnessed to the military’s commitment to the training and leadership development of their staff and officers. On his return, he rapidly brought together a core team of advisors from the military, health, business and educations sectors to develop a new way of training leaders in health. Aidan’s vision was to build a national Staff College where, in time, all leaders across the health service would attend standardised experiential programmes focussing on the central themes of developing their self-awareness, their abilities to manage themselves, their capability to lead others and, for those engaged in complex system leadership, their understanding of how to lead one of the most complex systems of our time. This concept was modelled on the military Staff Colleges, but was adapted to the needs of the health service, ensuring that programme developed and delivered were done so by senior health leaders, for senior health leaders. His vision was rooted in the belief that improving the quality of leadership has the potential to transform the quality of healthcare received by patients and the experience for those working within the service. As such, he sought to build a College that would nurture, support and challenge leaders at all stages within their career, form all disciplines and from all sectors, whilst providing a form of over-sight which could inform the talent management of both our current and future workforces. Staff College was originally hosted at University College London Hospitals NHS Foundation Trust, with the support and backing of UCLPartners. We developed a potent experiential senior leadership development programme for Clinical Directors, Consultants, GPs, Senior Nurses and Senior Managers. The programme was hugely well-received with many of our members citing it as a life changing experience. Within a year of starting, members began to approach us with requests to use our unique approach and develop programmes for their teams or services. In 2012, we started delivering leadership programmes for junior doctors and nurses and managers earlier in their careers as well as starting to work with NHS Executive Boards. In 2013, we developed a second campus hosted at Aintree University Hospital, Liverpool, in order to provide the same opportunities to leaders in the North West. Following Aidan’s untimely passing in 2015, and faced with a move from UCLH in early 2016, the Management Board took the brave decision to incorporate the Staff College as an independent charity to ensure the important work it does supporting healthcare leaders could continue. In September 2016, with the backing of Public Health England and following successful incorporation, The Staff College: Leadership in Healthcare was born. Our former Management Board became our new Board of Trustees with responsibility for holding the executive to account for the running of the charity. Many of those on our Board today, including Chairman Brigadier Johnny Wardle, were founding members of the NHS Staff College and continue to bring a wealth of experience, wisdom and commitment to the charity in their pro bono positions. Our lean executive and operational team, led by COO, Charlie Brown, enables the charity to keep the costs of its programmes to an absolute minimum. Most of our original faculty continue to work with us today, after 8 years with us, and we are pleased that in response to ever-growing demands for our services, we are currently bringing new members of faculty into the fold and are working to develop more clinical members of faculty. We keep an open mind to any opportunity to develop healthcare leaders. Our independence enables us to work with any organisations and we remain open to collaborating with partners to design programmes. We’re particularly pleased to continue to work with UCLH and Aintree today, following the significant support both organisations have shown us when we were based with them. Our focus is always on the quality of the programmes run, and the quality of the faculty who deliver these. A quality assurance process ensures that these remain consistently exceptional. It is testament to these high standards that relationships with new commissioners always comes through word of mouth and the testimony of those that have worked with Staff College previously. • Co-delivered a joint leadership and management course for health professionals with the Joint Services Command and Staff College, part of the Defence Academy of the UK. • Designed and delivered a leadership development programme for emerging leaders from primary care for UCLPartners. • Were commissioned to deliver a series of leadership development programmes for mid-grade leaders at UCLH for 2 years. • Delivered leadership development interventions to support a multi-organisation, transformation programme for primary and secondary care services with Barts Health, New ham CCG, Tower Hamlets CCG and Waltham Forest CCG. • Facilitated board meetings for the North East London STP’s Clinical Senate. • Re-developed and launched our core leadership programmes. The Charity was endorsed by the Secretary of State for Health, Rt Hon Jeremy Hunt MP and the Senior Health Minister, Philip Dunne. 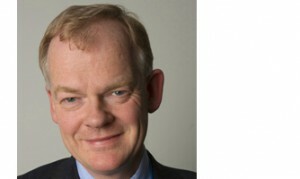 Our approach to bespoke development programmes was endorsed by the CEO and former Medical Director of NHS England, Simon Stevens and Prof Sir Bruce Keogh, with their approval and commitment to funding a series of programmes for the leadership teams of some Sustainability and Transformation Partnerships (STPs). At Staff College, things move pretty quickly. The best way you can stay up to date with all the work we do is to sign up for our newsletters and regular updates or follow us on LinkedIn or Twitter. So far, our second year has already seen us deliver our first international course and develop a growing number of programmes for organisations in primary and secondary care as well as for Sustainability and Transformation Partnerships and Integrated Care Systems.